Scotch(TM) Thermal Laminator protects documents you handle frequently. 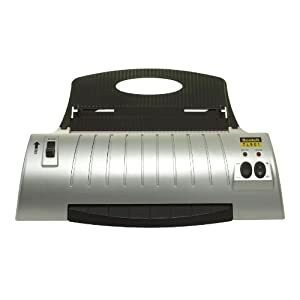 This thermal laminator that will laminate items up to 9 Inches wide. It is a 2 roller system that has two temperature settings. This is a thermal laminator combo pack. The package contains one laminator that will laminate items up to 9 Inches wide, plus 20 ea high quality thermal laminating pouches.